In the occupied Crimea, the scenic walking route Tsar's Path (or Solnechnaya Tropa ) near Yalta was turned into a landfill. Photos posted on Twitter by user Roksolana Today & Crimea. The Tsar's Path is located in the southern Crimea and connects the villages of Livadia and Gaspra, and also passes through Oreanda. 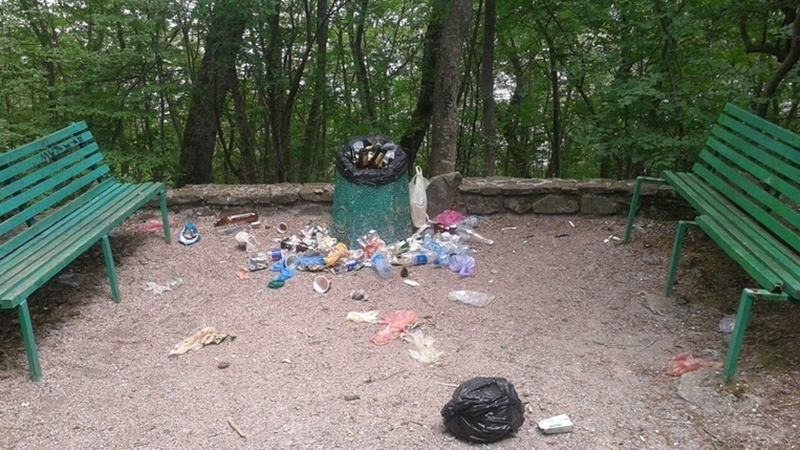 The photographs show that garbage is scattered around the bins and benches and it is not removed. Earlier, beaches of Alushta flooded with sewage were also shown on network. In Alushta, not only the beaches are in terrible condition, but also the prince Gagarina's palace is being destroyed. A crack is observed in the palace, which continues to extend.